Royal Tree Lodge is a private game reserve located twenty minutes from the iconic safari town of Maun, the gateway to the Okavango Delta. Guests will indulge in comfort and relaxation in one of the tent Royal Tree Lodge’s well appointed, private tented chalets (7), romantic thatched honeymoon suites (2) or the private villa (1). 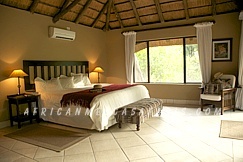 The spacious, thatched guest area is the heart of Royal Tree Lodge. 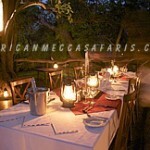 Large doors open onto a wide-angle teak deck shaded by Motsentsela trees, under which guests exchange stories, meals and drinks. Inside, relax on a plush leather sofa, enjoy a drink from the bar, and page through books on the nation’s explorers and history. During dinner, enjoy delicious meals served on the deck by candlelight and awe fellow guests by tales of the day’s adventures. At Royal Tree Lodge, it’s not just about great accommodation and warm hospitality. 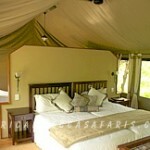 Indulge in comfort or relaxation as you stretch your legs after your long flight or overland safari. Lounge aside the swimming pool or set out to create your own adventure on one of the marked walking trails. At Royal Tree Lodge, it’s not just about luxurious accommodation and old world hospitality. 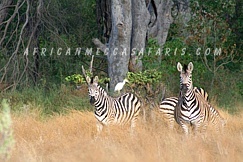 Marked walking trails invite guests to create their own adventure allowing safe, intimate interaction with wildlife. For the more adventurous, set off on a horse back safari, scenic flight over the delta, or mokoro canoe trip down the river. 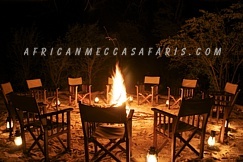 Finish off the day with a warm drink around the communal fire as personal safari hosts and Royal Tree Lodge managers share life stories from over 80 years of combined safari experience. 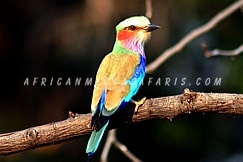 BIRDING – Over 300 species of birds have been sighted in and around Royal Tree Lodge, at peak season and water level in the nearby Thamalakane River. 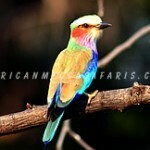 Our summer from October to March is the best time with both Palaearctic and Intra-African. GAME WALKS – Slow down and take in the details as you set the pace on one of Royal Tree Lodge’s marked trails through the reserve. 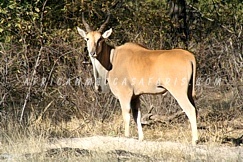 Smell the grass, stroll past a giraffe grazing, or admire the grace of a kudu bounding through the savannah. 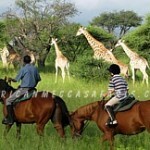 HORSEBACK SAFARI – Experience the joy of an intimate safari ride. 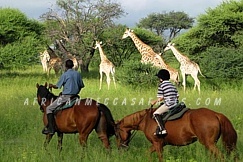 Horses are owned and managed by David and Robyn Foot (with 17 years experience in the horse safari business) and are well trained and accustomed to the resident game. 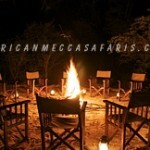 GAME DRIVE – Revel in a full day of adventure safari in Moremi Game Reserve. 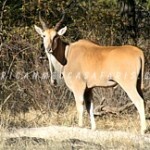 Game drives provide wonderful photo opportunities at close range. They are a very popular way to safely view even large predators in their natural habitat. SCENIC FLIGHT – Experience the thrill of the Okavango Delta from above! Discover the joy of scenic flight in either a fixed wing or helicopter. 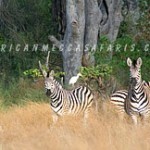 The ideal platform for photography and film, capture animals in the most remote of locations. Royal Tree Lodge Honeymoon Chalets: The honeymoon chalets are private and romantic with king size canopy beds covered in soft, white linen. 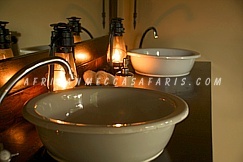 The chalets are well furnished including large sunken baths, plentiful candles and an outdoor shower to make your stay a memorable experience. 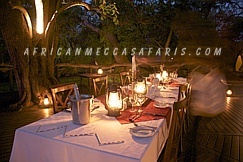 Royal Tree Lodge Luxury Tents: The tented rooms are built on raised decks with exotic hard wood floors offering wonderful views of the serene African forest and complete with en-suite facilities. 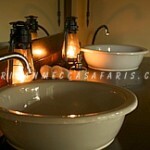 We welcome you to relax in an old world bath by the warmth of candlelight and enjoy the sounds of Africa. For the more adventurous, enjoy an outdoor shower while taking in the beauty of the Kalahari skies. 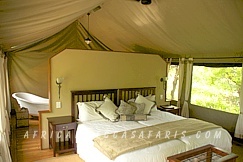 Well designed and tastefully furnished, these Maru style safari tents are thoughtfully placed for privacy beneath a canopy of large shade trees. 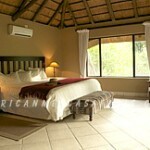 Crisp cotton linen, comfortable twin beds and overhead fans assure restful sleep after a full days of safari adventure. Royal Tree Lodge Private Villa: The private villa is a luxuriously furnished house situated on a secluded corner of the reserve. 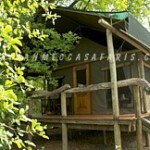 The villa has two bedrooms, each with its own en-suite bathroom. 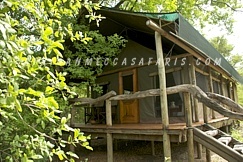 The Villa also includes a private, detached guest cottage, with a shady veranda and views of wildlife. 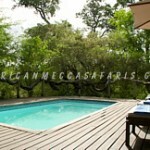 In total, the Villa can comfortably accommodate six to eight guests. The thatched Villa is bathed in natural sunlight from large, wood-framed picture windows and glass doors. The beautifully furnished lounge opens to a large thatched patio, perfect for comfortable outside dining and lounging. The study attached to the lounge provides a creative space for reading and writing. The large, modern kitchen with beautiful, natural lighting opens to a dining area overlooking the lush garden. 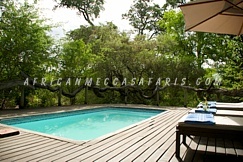 The Villa has its own private pool set in in a tranquil garden with exotic views of zebra and eland at the nearby flood plains and grasslands. We invite you to relax near the pool in a sun lounger or enjoy afternoon tea in the tented cabana. 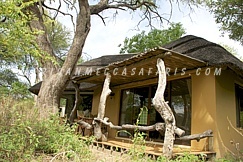 Guests have exclusive use of the Villa and guest cottage and enjoy the privacy of a beautiful home set in the natural surroundings of the reserve and its wildlife. 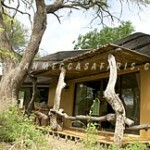 Guests also have full access to Royal Tree Lodge, all activities, staff and guides.